Thank you to the FOWS (Friends of Wainui School) for organising and hosting such a fun Triv Night last Saturday. Led by Fiona McIntyre, other members Denise Ditchburn, Nikki Browne, Kylie Allen, Kay Elliott, Sandy Tucker, Vanya Paladin, Catherine Southwick, Vanessa Lloyd, Nadine Phillips, Isabelle Blais-Smith, these ladies all did an outstanding job of organising this event, gathering the prizes, and auction items, and keeping us all honest. Our hosts this year were Will Hunter (actor from Westside and Nothing Trivial) and Brent Robinson (BOT Chairperson). These two kept us competitive with the questions and became the auctioneers. The costumes were great, ranging from Aliens, Maui, to the Queen of Hearts, Pooh bear, Piglet, Tigger, the Seven Dwarves, Mary Poppins and friends, Pirates and Princesses. The winning team was once again led by Sarah Parsons – “Supergalafragalisticexpealadoshis”. The final amount raised was just over $7,000, a terrific effort from everyone. If you didn’t join in this year be sure to join us next year!! Wainui Voices – Each week we now have a half hour meeting on Friday morning that extends the student leadership across the school to include children from every class. The year 8 student councillors and myself are meeting the representatives from each class to bring theirideas, issues and voice. It has been fabulous hearing everyone’s thoughts and opinions, from wanting another big sand pit to talking about shade, hats and what we should all wear. We will keep you all informed with the directions as we continue to meet. Master Chef – The next round of finals have been held this week by our illustrious Master Chef year 8 leaders Neve, Zac and Haruka. They will be presenting all the finalists and winners to us very soon. Drumming Lessons with Pete Warren – Pete has rung me on Monday morning and is very sorry he is very unwell, he can hardly speak! He has had to cancel all this week’s lessons. 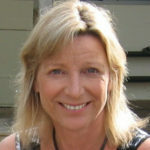 WaiCare – Thank you to Angela Tinsel for organising some WaiCare sessions for the year 5&6 team with the Auckland Council. WaiCare is a programme that explores the waterways, teststhe cleanliness of the water, investigates what is living in the water. We have over the years used our stream through our grounds to test the water. At times the results show it has to be cleaned up. 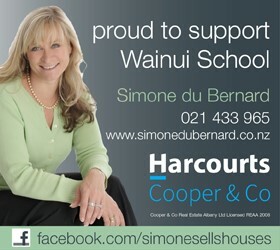 FOWS “Friends of Wainui School” are meeting on Wednesday evening 6th September. 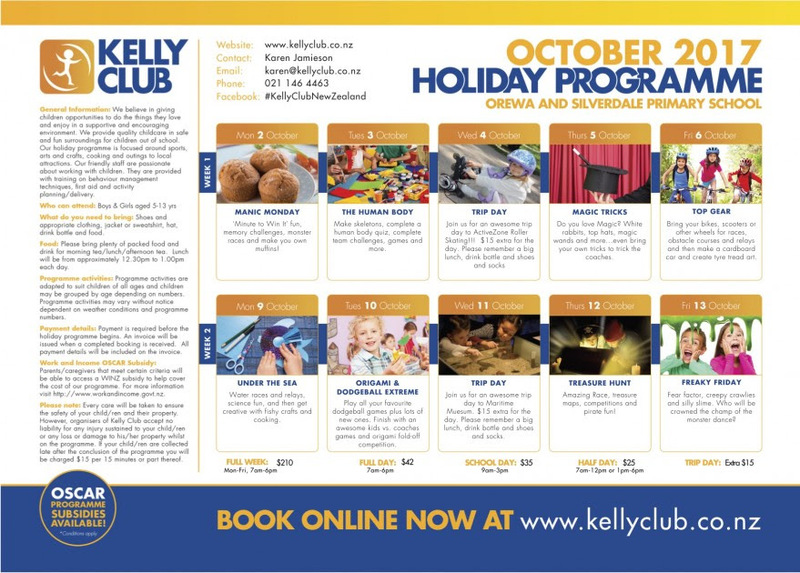 Come and join this amazing group of parents who are raising much needed extra funds and generating more networking opportunities for parents to get to know each other and participate in our community. School Mobile – We have a new mobile phone that is able to be used by you all to contact the office and do quick changes of pick ups, bus changes etc. Please remember all changes to routines and letting us know must still be made in good time though e.g after school pick up change / or buses by 2.00pm. The number is 027 525 1848. Auditions for the Year 5-8 Show will be held next week. The classroom teacher will be going over the show and giving children a brief as to the script and the parts. 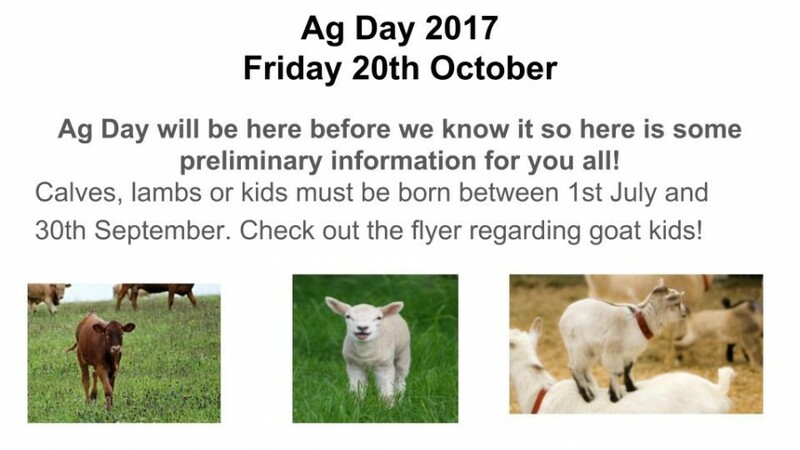 Lovely story, I had a call from a mother in Auckland to find a home for two lambs – these canbe raised for Ag Day and shown. 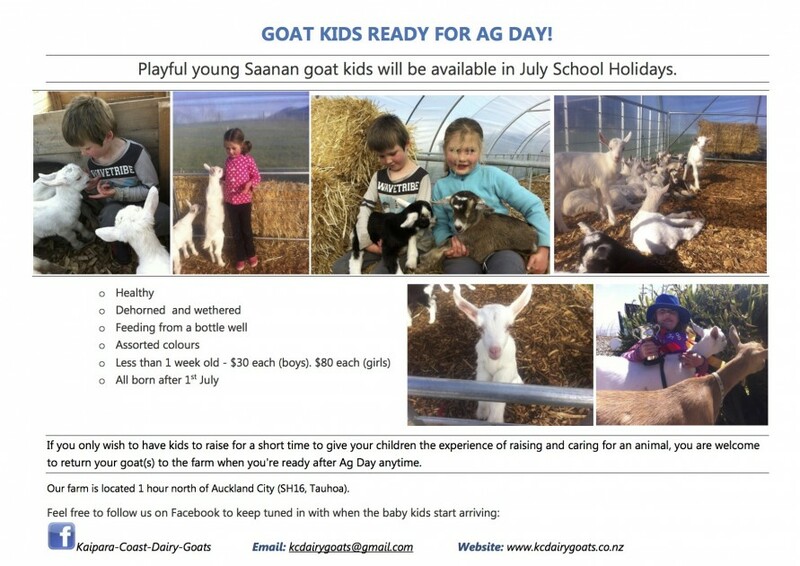 This mother had realised her garden in Auckland wasn’t quite big enough for these growing lambs, they come with milk powder and a sack of pellets, and they like cuddles and sucking fingers!! We had no difficulty finding a home for them!! Thanks to all those who offered to take them. From FOWS – Quiz Nite – A big thank you to everyone who supported our fabulous annual Quiz Nite fundraiser last Saturday! A really fun evening with approx 100 people in attendance we filled the school hall and tested our general knowledge on everything from local landmarks to science and random dog breeds. 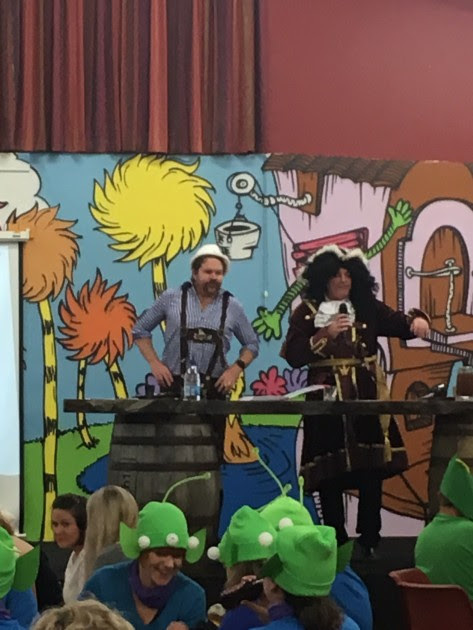 Celebrity MC host Mr Will Hall and Quiz Master Mr Brent Robinson (aka Captain Hook) ensured the evening was a fabulous success as well as co-ordinating the live auction which was well supported by all the Disney themed guests on the night. Best dressed male award went to “Maui” and best dressed female to the “Queen of Hearts”. Congratulations to team “Supergalafragalisticexpealadoshis” who won the most points and scored themselves a few prizes. 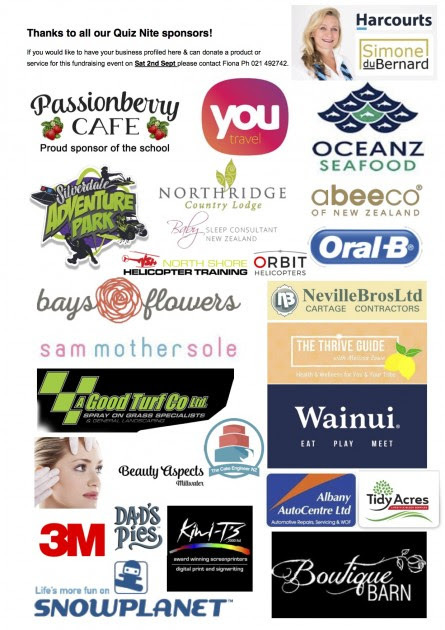 We are very grateful for the very generous sponsorship of all our local businesses and individuals who donated prizes for this event and we encourage everyone in the wider school community to show their appreciation by returning the favour and buying from these businesses (a complete list is profiled on the adjacent page). And finally thank you to everyone who got involved organising and supported this fundraiser, we made $7,200+ which is a record for the school quiz nite and will greatly help to assist with enhanced digital resources for the childrens’ learning (ie iPads, laptops, robotics, coding and software resources). School Property Update – The final project to complete from our current round of Ministry of Education (MOE) property funding is a toilet upgrade. Stage one of our upgrade was the demolition of the old toilet block behind Kauri classroom during the July school holidays. Renovating the old block was unfortunately not financially viable. Stage two is the renovation of the toilet block adjacent to Rata classroom (the year 0/1 block), with plans currently being drawn up for this project. July 2018 is the start of the next 10 year property plan funding period, so we will soon be working with the MOE to identify future projects. With a growing roll we are mindful of providing adequate facilities throughout the school, and will be looking at different options for this. In the interim each class has been shown where their nearest toilets are, with intermediate students having designated facilities. Quotes are being obtained for the provision of extra shade, thanks to the funds raised from our Spellathon. Wainui 3 vs Sprats. Won 5 – 3. Most Outstanding Player of the Day: Keira Sams. Most Improved Player of the Day:Milla Glasgow. Wainui 7/1 vs Waiheke Dolphins 7/1. Lost 22 – 29. POD: The whole team!! Wainui Yr 3/4 vs St Joseph’s. Won 3-1. They finished 3rd in B Grade! Well done!